My Mom was so excited for this vacation to Manhattan. She spoke with me about it for weeks on the phone, and then finally booked tickets. We headed to New York City for an opportunity to connect with our past. My maternal grandfather had emigrated from the Netherlands to the United States. My mom didn’t know much about that time, but had assumed that his family had entered North America through Canada. However, when my sister moved to New York City, she researched and found out that the family had arrived through Ellis Island. 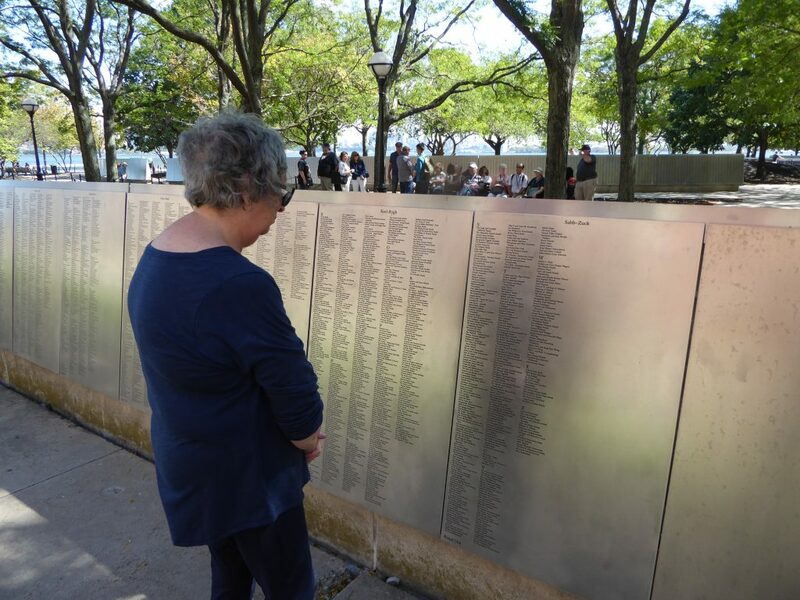 My sister worked to get the family name placed on a plague on Ellis Island, and surprised my mom with the information and the plaque. Did my grandfather see this same site from Ellis Island? Our trip was made in honor of our family history and to see the place where our family started their lives in the United States. 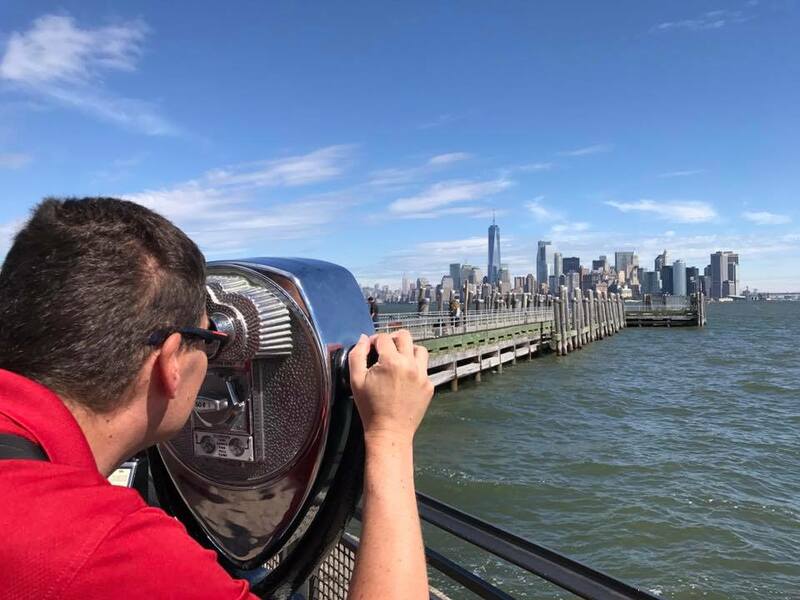 Although this was a personal vacation for us, I know that many people visit New York City and want to know where to go and what to do. 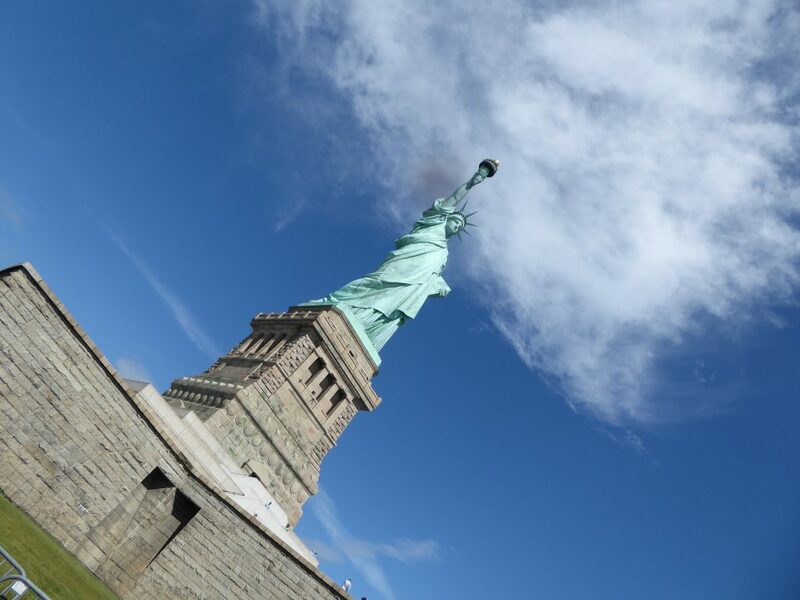 Here is what you can expect on a tour of Lower Manhattan, which includes a trip to Ellis Island and the Statue of Liberty. 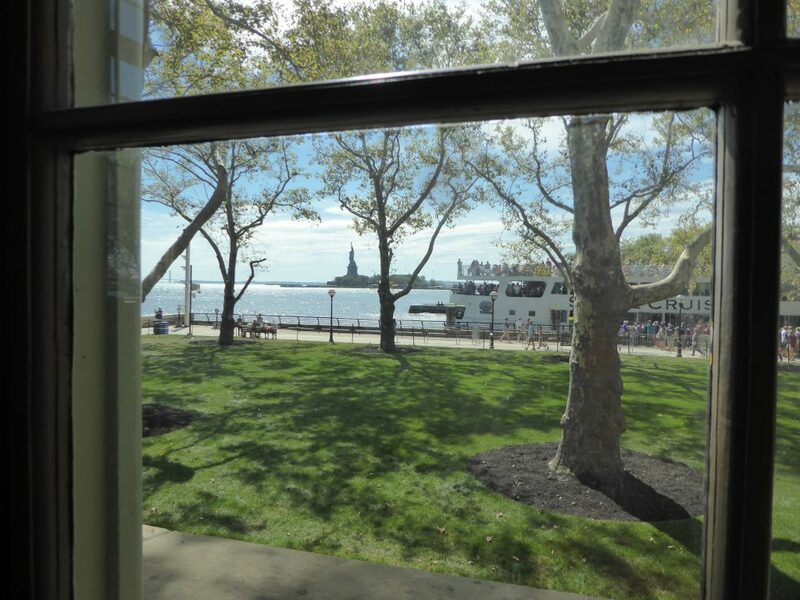 We started our journey at Battery Park on the southern tip of Manhattan. It is the launching point for a ferry ride to Lady Liberty and Ellis Island. 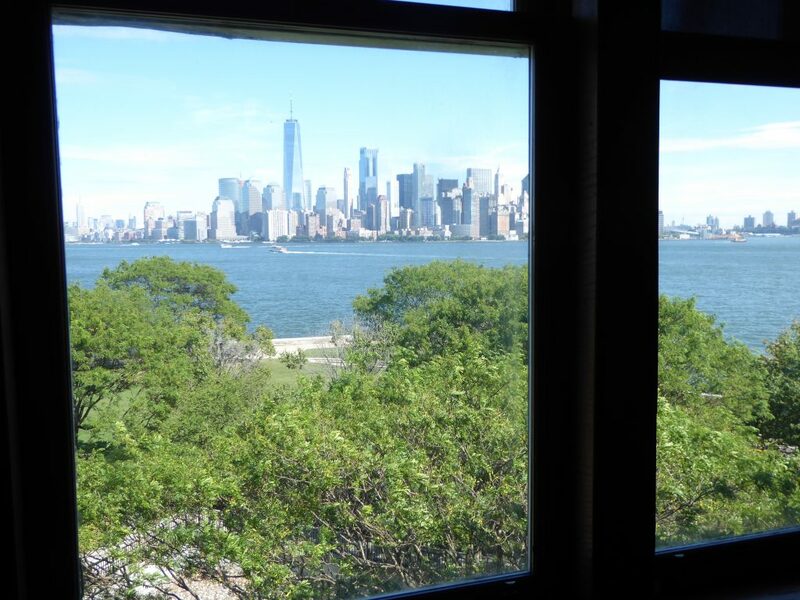 From the park, you can also catch a ferry to Governor’s Island, Brooklyn, and New Jersey. 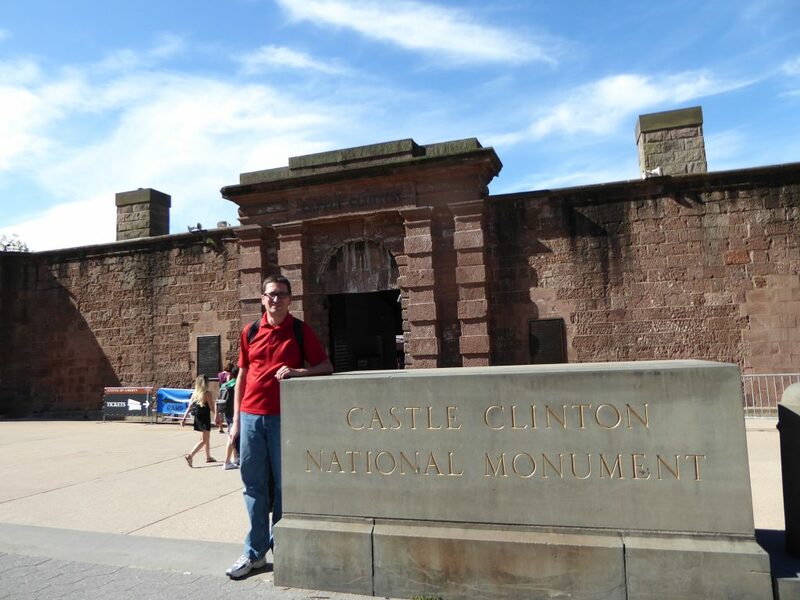 We headed to Castle Clinton, a National Monument and the location to purchase ferry tickets for your ride over to the islands. While my sister waited in line to purchase tickets, my Mom and I walked around the castle looking at the historical exhibits of the monument. Then, we headed to the ferry for our 10-minute ride to Liberty Island. 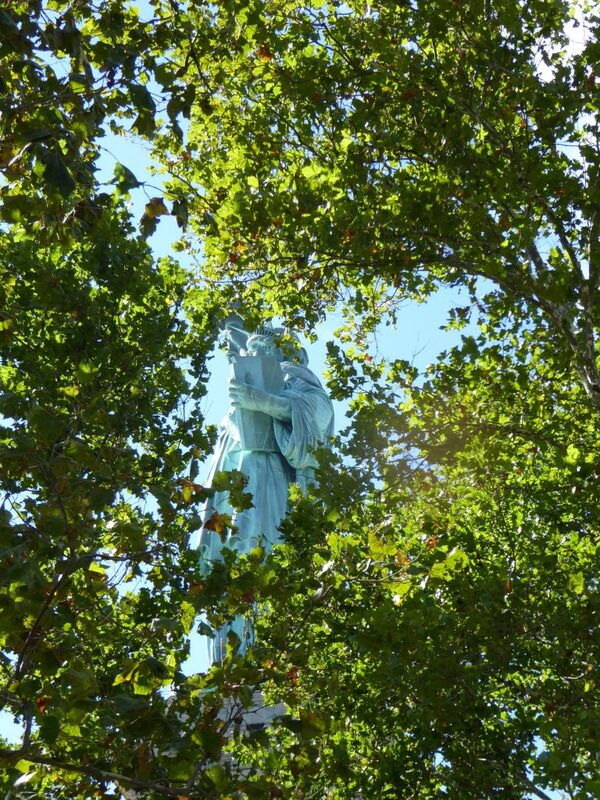 Once at Liberty Island, we were able to walk the circular path around the Statue of Liberty, snapping pictures from every angle. You can pre-purchase tickets for tours to the base of the Statue or to her crown. When we toured, these tickets were not available (I think because it was the week of the heads of state were speaking before the U.N. and security was heightened). We spent one hour on the island, strolling the pathway, briefly checking out the gift shop, and getting our National Parks passport stamped. There also are some food and snack options available on the island. One of the more interesting features on Liberty Island are a number of sculptures telling about the artists who made Lady Liberty a reality. We then headed back to the ferry to catch a five-minute ride to Ellis Island. Looking at the Big Apple. Photo courtesy of Lana York. This, of course, was our main reason for the trip. 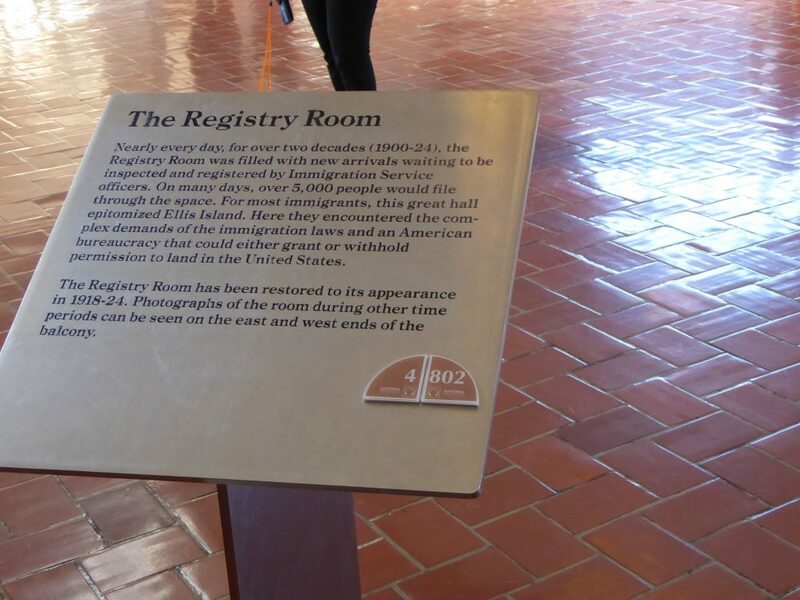 We knew the marker number for the American Immigrant Wall of Honor, where the family name is engraved. The wall is behind the main entrance to the building and it took us some time to find the marker. It was a very emotional time for us, as my Mom took it all in, reaching out to touch the engraved name of her father. Clearly, it was a moment that we’ll never forget. Then we went inside the building to look at the exhibits. 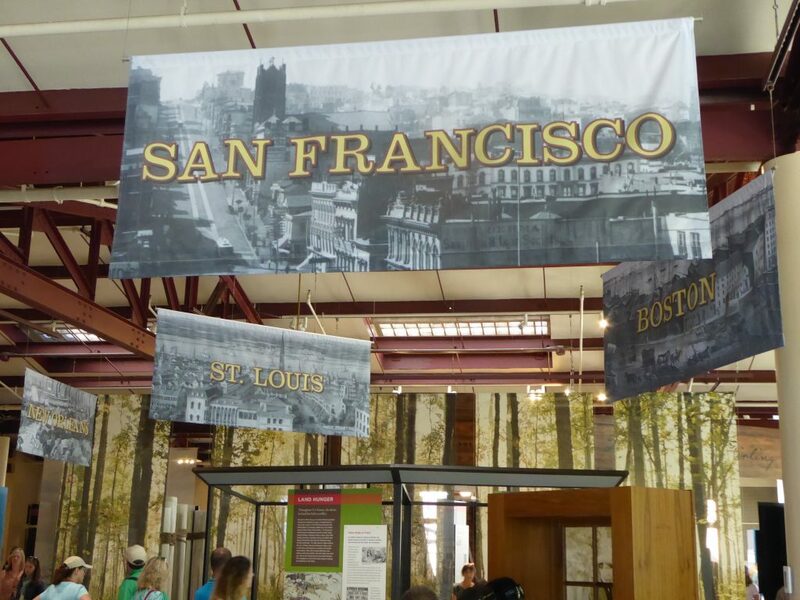 On the main floor, there is an exhibit showing all the routes immigrants took once arriving in the United States. I was able to follow the journeys people took along the Santa Fe Trail, through St. Louis, or through San Francisco as they made their new life in this new world. I then headed up to the second floor housing the registry hall. It was here that 12 million people signed their names to a ledger as they entered the country from 1892-1924. It is an impressive, large room which has the feel of bureaucracy. I got a real feel for what it would be like to arrive in the United States and then wait for 3-5 hours with my family in this officious room. Finally, I headed to the third floor which contains a dorm room for the quarantined immigrants. 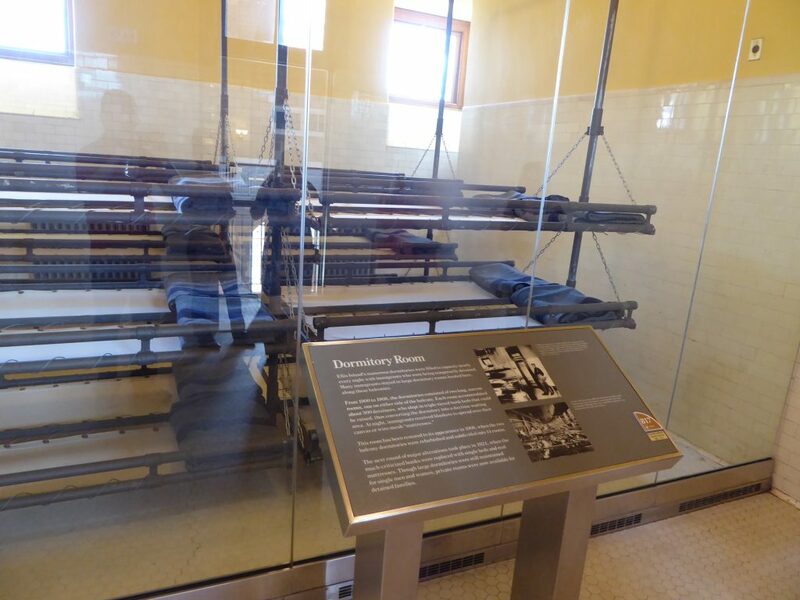 Once registered, an immigrant would be quarantined on Ellis Island for a number of days before they could leave the island and start life in the new world. It is quite probable that my grandfather slept in dorm beds like these. We then got in line for our ferry ride back to Battery Park. It’s worth noting that the lines for the ferry can be long and the wait was about 20-30 minutes. The wait and standing was difficult for my mom. Looking for some great places to eat while in New York City? Check out this Greenwich Village Food Tour from our friends at DQ Family Travel. 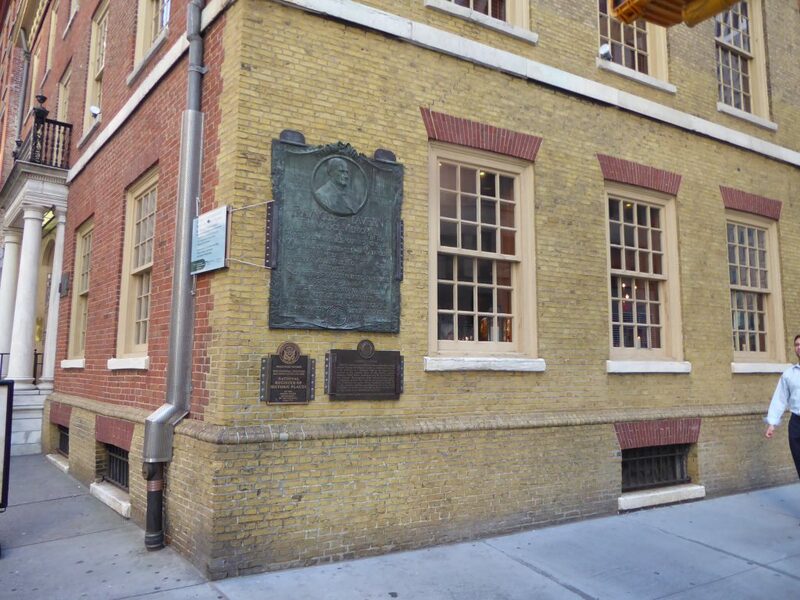 A couple of blocks from Battery Park is Fraunces Tavern, one of the oldest structures in New York City. The Tavern, open since 1762, was the site where General George Washington gave his farewell address to his troops in 1781. The tavern serves some great early American cuisine, and also has a large number of ales and draft beers. It was fun to eat here, looking out of those ancient windows into the very modern streets and buildings of present day New York. Above the tavern is a museum containing the original room where Washington gave his farewell address and the Clinton dining room, containing one of only 11 remaining handpainted wallpapers in the world. The museum houses nine galleries which contains flags of the early Americas and artwork representing colonial American history. It’s definitely worth a stop. 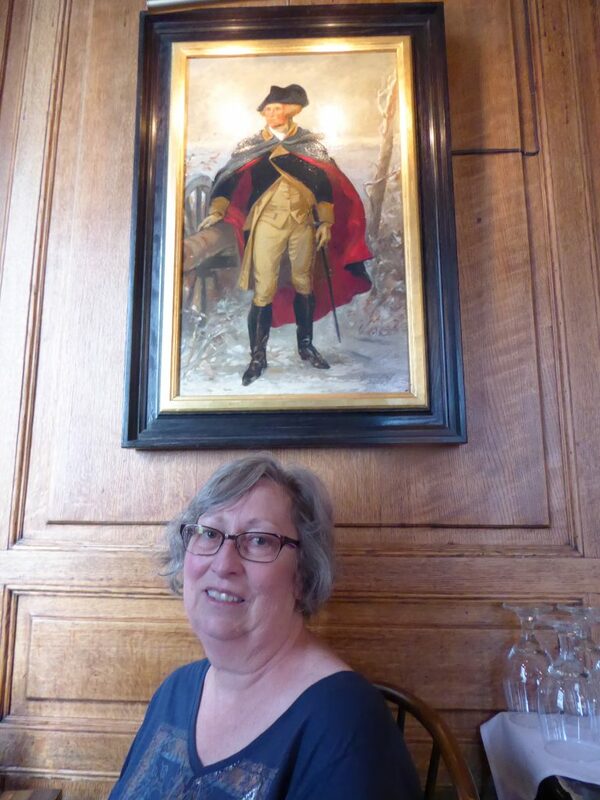 General Washington was at Fraunces Tavern in 1783. My Mom was here in 2017. 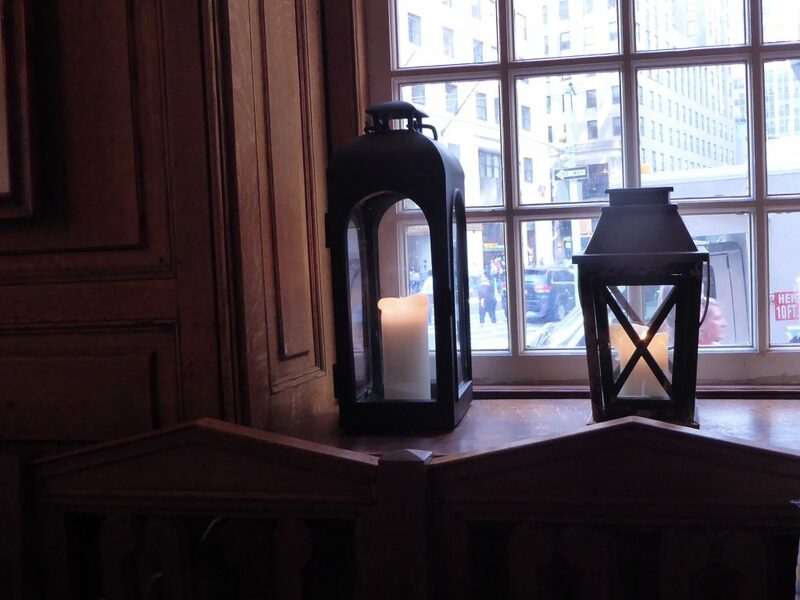 From the Tavern, it is a short walk north to Wall Street, Federal Hall, and the site of the World Trade Center. I was so excited for the trip. It was my first time touring the Statue of Liberty and Ellis Island. Given the significance of the trip for my family, I wanted everything to be perfect. There was one problem, however. There was a smudge on my camera lens. I didn’t know it. It was only later that evening after taking a couple hundred pictures that I noticed a black smear on all my great pictures. You’ll see the smudge throughout these pictures. I hate it. The pictures mar an otherwise perfect and emotional day for my family. Visit Morningside Heights and Harlem and see Alexander Hamilton’s Home. 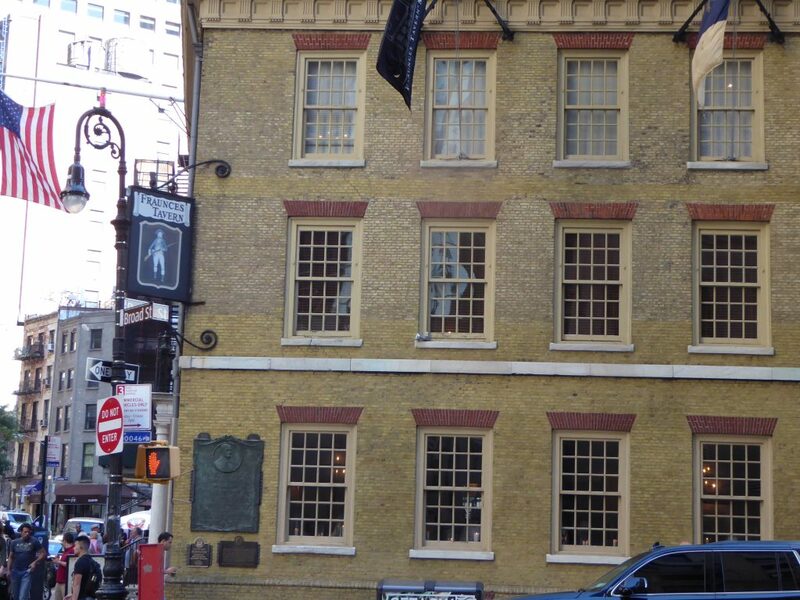 Have you dined at Fraunces Tavern? Or have you been in the crown of the Statue of Liberty? Let us know about these or other New York City experiences in the comments below. What an amazing experience. I’ve been to Ellis Island before and am headed to the Financial District next week for business meetings but do not have the personal connection you do. As for the pictures, I didn’t notice the smudge until you pointed it out. Don’t let it mar an otherwise perfect day in any way : ). This is such wonderful and detailed post. I love all the pictures in this post. How i wish i could go to such wonderful places soon. Thanks for sharing. Now this sure did bring back some amazing memories. But its been 8 years since I last explored the city and really do need to go back. 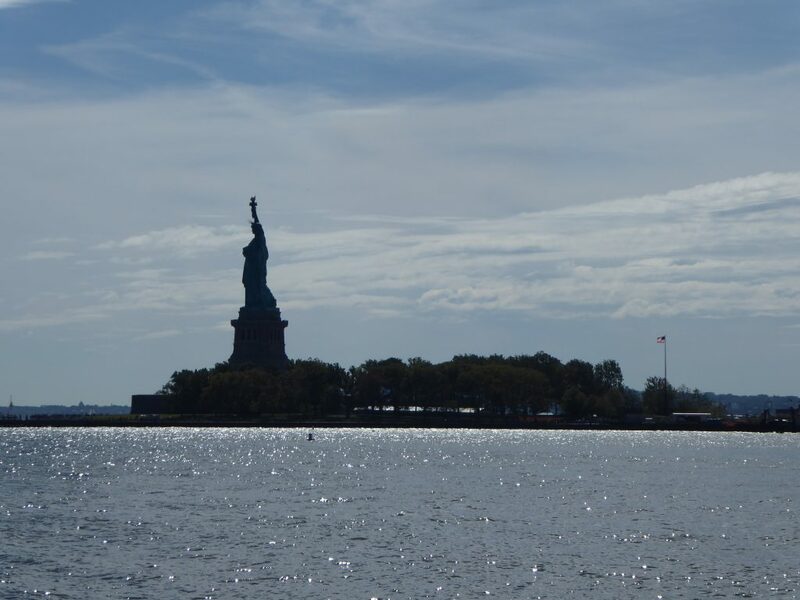 I love the city and I loved doing the boat ride to Ellis and Liberty island from battery park. Will always carry those memories with me to the day I die. It is so memorable. There is just so much to do in the city. What a wonderful trip to go on with family!! My husband and i had done this and saw my grandma and her brothers name! It was so surreal! How exciting to be able to see the names. It was very powerful and moving for us. It’s so fantastic that you got to catch up on family history AND have a trip with the mom. We just had my mom out to visit last week and you need to value every minute you have with them. 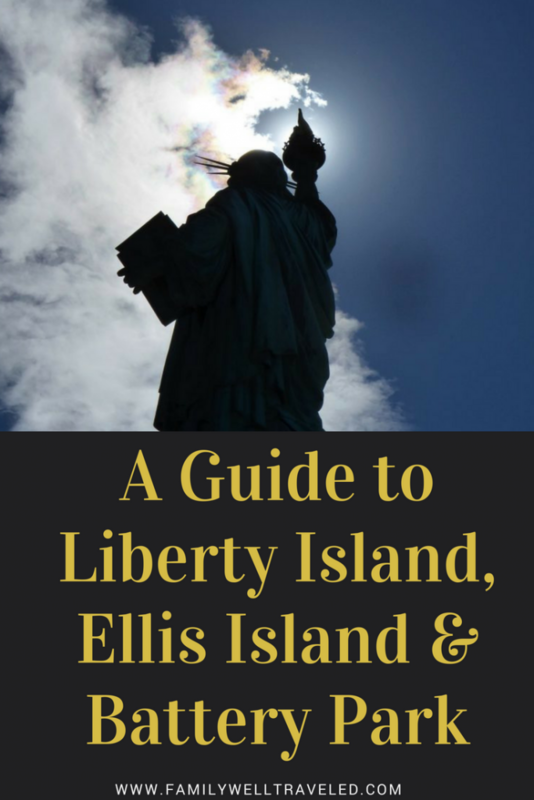 Someday, we’ll go to New York and see all of the sites and Ellis Island will be on that list. Yes, we need to make the most of the time we have with family. You must have had a lot of fun in Manhattan. I wish I could’ve joined, too. I really love the pictures as well! I wonder how the outline of the city looked back when your grandfather came to New York. So nice of your sister to surprise your mom with reviving of family history.! your pictures are so stunning. I always wanted to visit Manhattan…we are planning a trip this year.. your post will come really handy..thanks for all the detailed info. 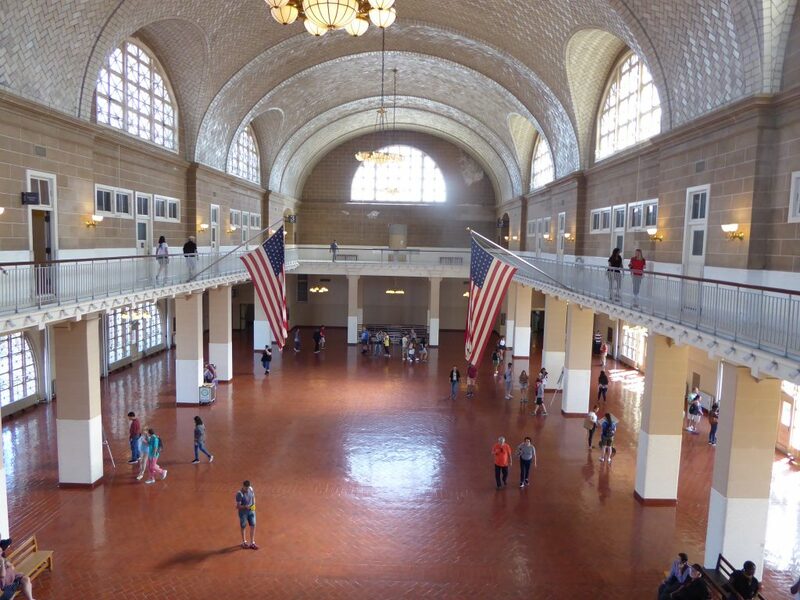 I love the history of this post, I would love to visit Ellis island and the immigration point. 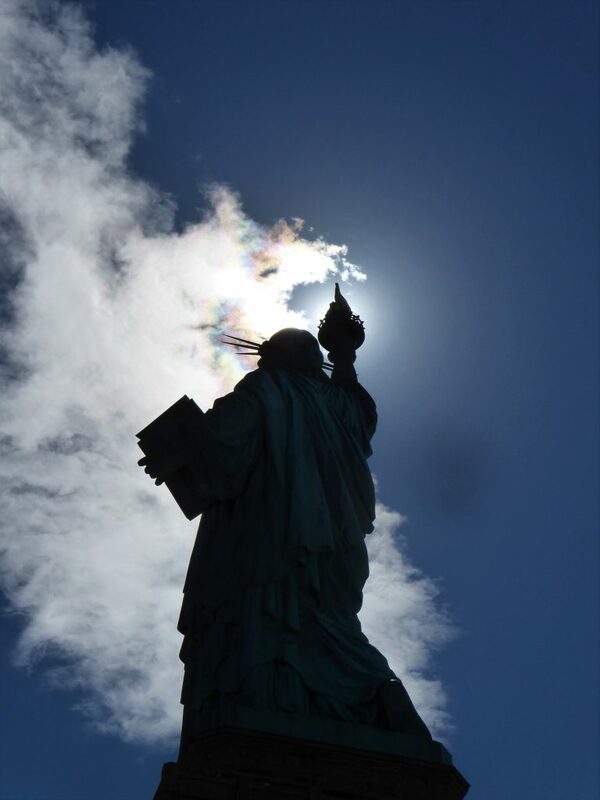 There’s also so many cool pictures of the liberty island here. What a personal post! Thank you. 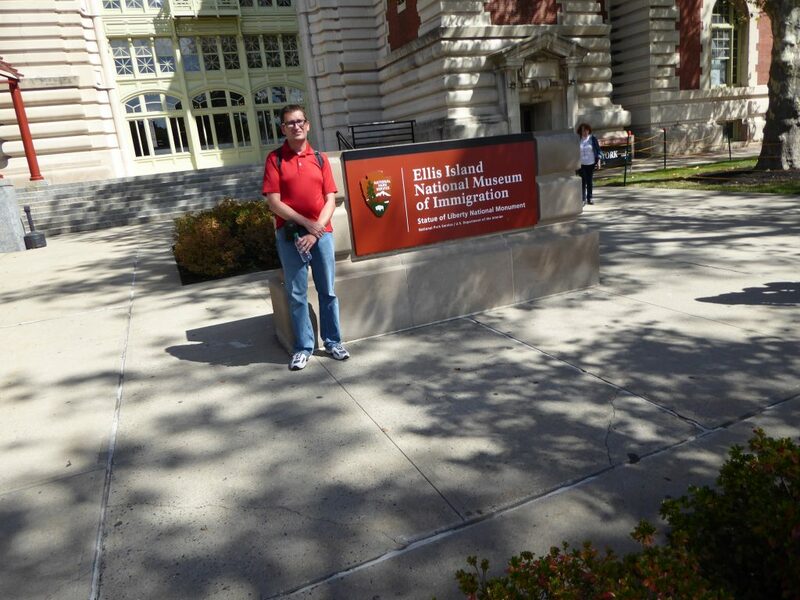 I found Ellis Island so interesting. We did have great weather during the visit. I find myself sitting in a cafe wiping tears away as I read this, my great grandfather stowed away on a cargo ship to Canada while my great grandmother came through Ellis Island. I have dreamed of doing this myself, I find this so touching and I am happy for you to have this experience. Thank you. The stories of those who made this journey (whether through Ellis Island or Canada) are some amazing tales. Thank you. The personal history made it a special trip. That smudge IS hardly noticeable. I didn’t notice it until you said something. But it would photoshop out REALLY easily. You did a great job of getting around and appreciating everything. If only I were a photoshop expert. I’ve tried working on some of the photos with limited success. Thanks. We did a similar tour when we visited Manhattan a few years ago. Our favorite part was going to Ellis Island, and imagining all the immigrants who went through that island to come to America. I agree. Ellis Island was really amazing. This would have been such a poignant moment at Ellis Island, it’s hard to imagine. Also – I would never have noticed the black smudge! I only looked back after you mentioned it so it’s not too noticeable to the rest of us! Never been to Manhatten – but I most definitely want to see the Statue of Liberty in person one day. Your story was very heart warming. Thanks k you for sharing. I’ve lived in NYC all my life and have gone to the Statue of Liberty maybe twice as a young child. I love reading visitors takes of NYC it makes me remember my home is amazing! Hope you get to visit again! Salut! Thanks. We’re hoping to take the kids to NYC sometime in the near future. I haven’t been to New York City in over a decade! I only saw lady liberty from the boat! but it was still very impressive. Lady Liberty is impressive from any view. Great post! Thank you for all the information, and sharing your story. Your pictures are great as well. I would so much like to go to NY! I only know JFK haha – it is one of these cities that I really want to discover. I’ll be travelling to New York in a couple of months and I’ll definitely keep this article for reference. It’s my first time so I’m trying to find and read as many informations as possible. A great post! I was there two years back but didn’t have the chance to visit the island. I really love the way you write and put pictures together.